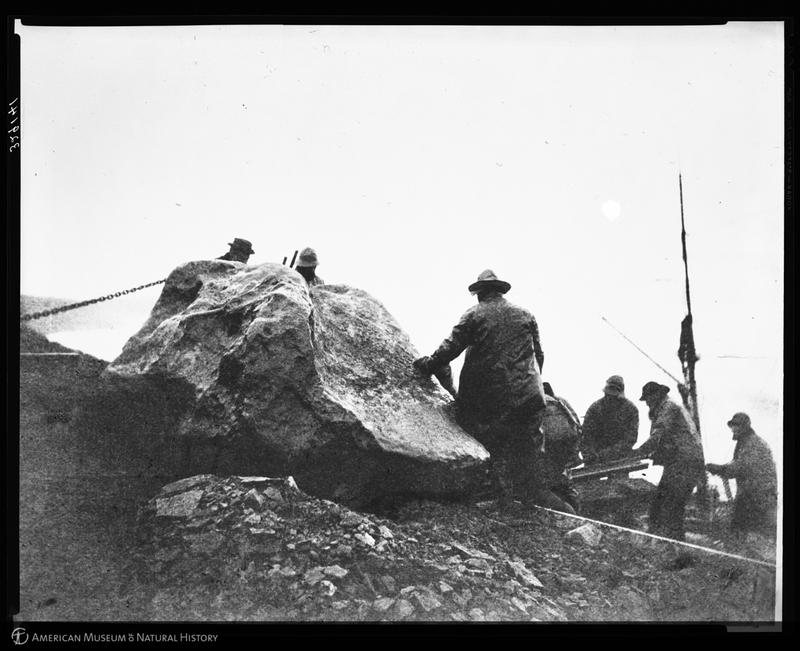 “Moving the Ahnighito meteorite toward The Hope, Greenland, 1896,” AMNH Research Library | Digital Special Collections, accessed April 21, 2019, http://lbry-web-007.amnh.org/digital/items/show/90690. The Ahnighito meteorite is currently on exhibit in the Arthur Ross Hall of Meteorites (2019). It was collected on the Peary Expedition to Greenland (1897) This 1896 attempt resulted in moving the meteorite to the coast, but failed at making it to the ship.